When two people marry, share a home, and start a family together, they are bound to acquire properties. In most cases partners bring in their belongings into the marriage; receive gifts during the course of the relationship and also incur debts either separately or jointly. While the marriage is still intact division of property is not usually an issue. 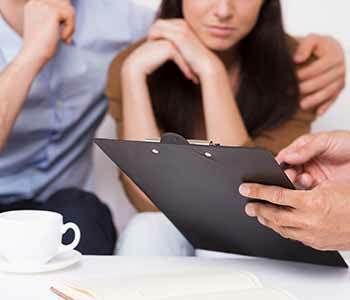 However, once there is a marriage breakdown property division becomes a big issue, and then the need of correctly determining the meaning of family property arises. Dawn Bennett is an experienced Mississauga family lawyer and will assist you in determining and understanding what constitutes family property. Family property includes things, belongings that you or your spouse own individually or together on the date of separation (with a few exceptions). This is the case, regardless of who made the purchase, or whose name the property is in. Family debt includes any debt incurred jointly or by either spouse, from the date the parties began living together or the date of marriage to the date of separation. Regardless of who incurred the debt or who benefited from it (use of property), responsibility for the debt is shared equally. Property owned by a spouse before the couple began living together or married. Some court awards and insurance proceeds. The spouse who owns excluded property keeps it during the calculation of the net family property. However, if it has increased in value that increase is shared family property. This is only a brief explanation of a critical element in a complex family law proceeding. For detailed analysis of your individual situation, contact Dawn Bennett of Bennett Law Chambers in Mississauga.